After 5 years of operation in Isla-Mujeres the time has come to establish a Mikveh! In the Mexican island lives about 20 jewish couples, a small quality community that are the center of the Chabad House activity. The synagogue is the community center, to where people come in order to put Tefillin and pray, study Tanya in classes and groups, and celebrate together in Jewish and Chassidic holidays with the sent Rabbi Yosef Yitzhak Ben Shimon and Rabbi Menachem Mendel Dayan and their families. Isla Chabad House offers a variety of services and activities to the jewish community and for travelers, including among other things: Synagogue, Tanya lessons, Shabbat candle lighting, Teffilin laying, Shabbat and holiday meals, Kosher restaurant and a store for kosher products. Besides that, there exists a local jewish community with its members strongly connected to the activity in Chabad House. The dozens of local jewish community wives and the dozens of jewish couples arriving every month – have nowhere to perform ritual immersion, which requires travelling far and some just give up the Mikveh immersion. For that reason, the sent ones have decided to build a Mikveh – for the sanctity of the future generation. The size of the island is 7 km on 800 meters only, and the build space is very limited. In the passing year the sent ones have negotiated on one of the last free plots of land (one of two existing) in hope to build a Mikveh on this field, which will serve the jewish community and the travelers. The field owner will sell the desired land to us only if we can come up with the full amount by the time of Kislev eighteen! 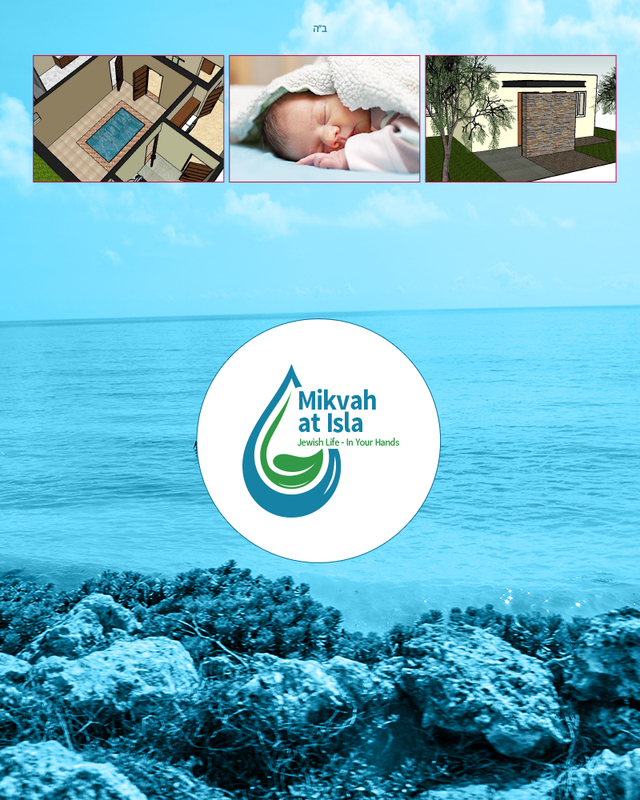 Isla-Mujeres Chabad House is inviting you to be an eternal partner in building the Mikveh!